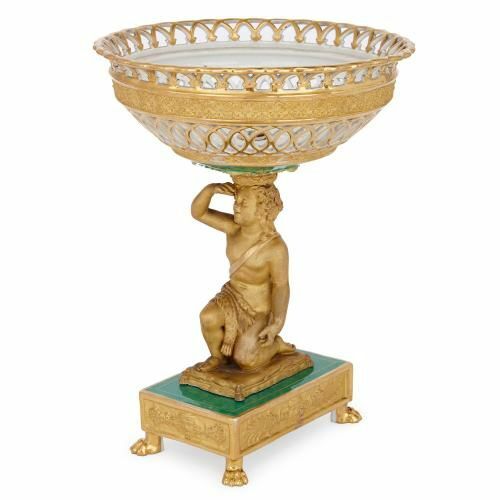 This antique Russian porcelain centrepiece features some exceptionally high-quality gilding and will bring charm and beauty to an antique dining table. 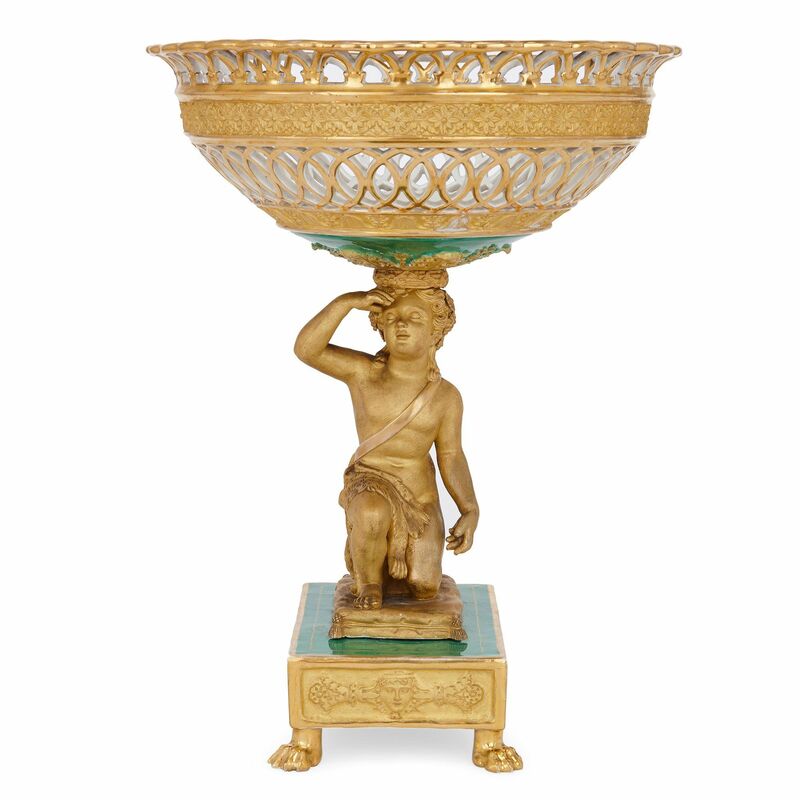 The centrepiece is shaped as a reticulated porcelain bowl supported by a putto in draped clothing, on a rectangular plinth with four paw feet. The exterior of the piece is gilded, with green highlights on the underside of the bowl and the top side of the plinth. 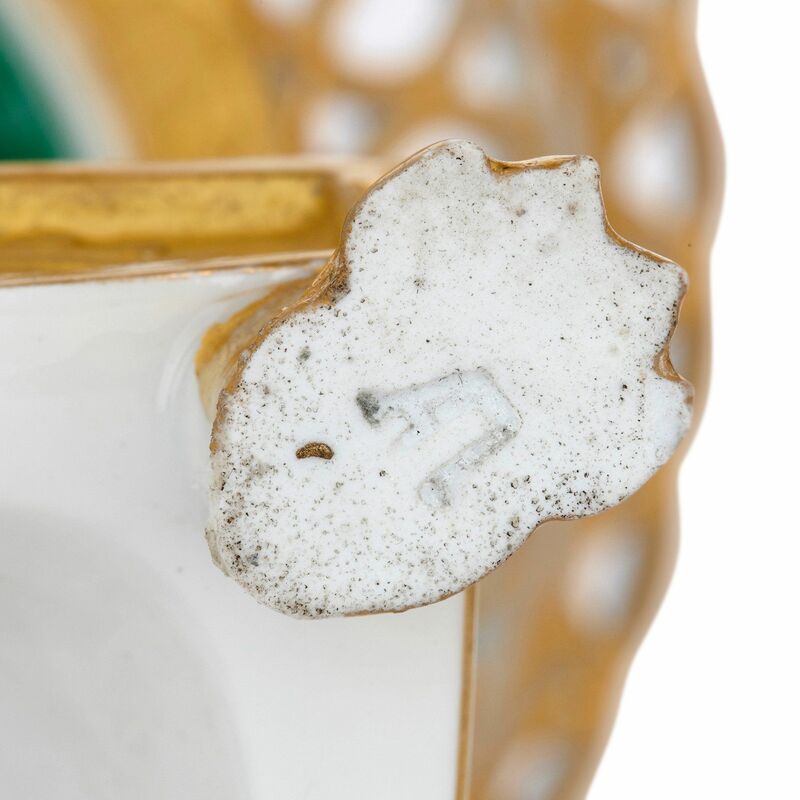 The exterior of the bowl is decorated with solid bands of floral motifs, in between bands of reticulated porcelain. 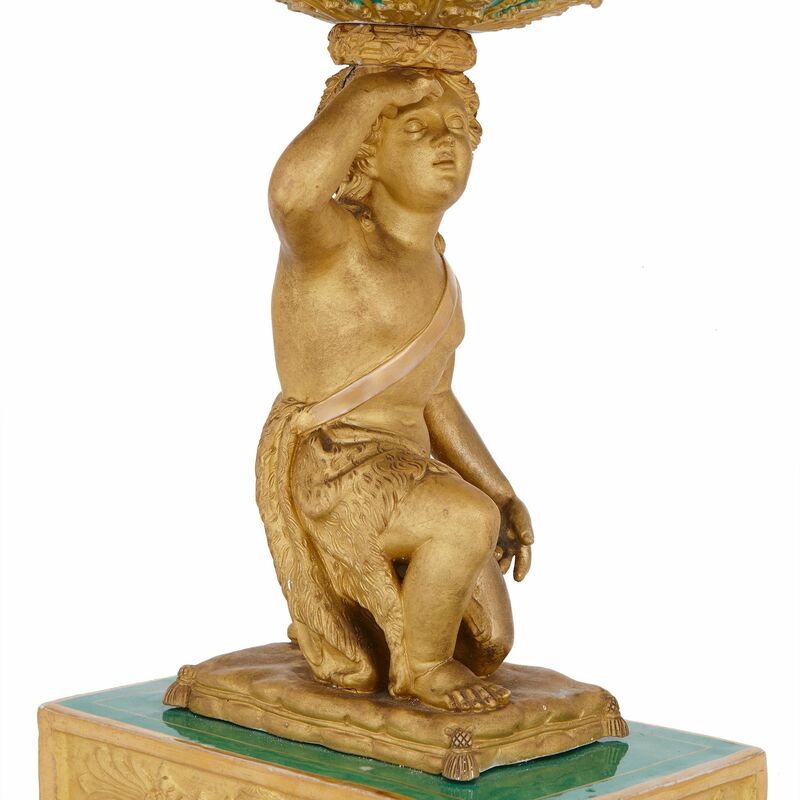 Below, the putto is shown wearing a headdress with acanthus leaf designs above, and is kneeling on a cushion. 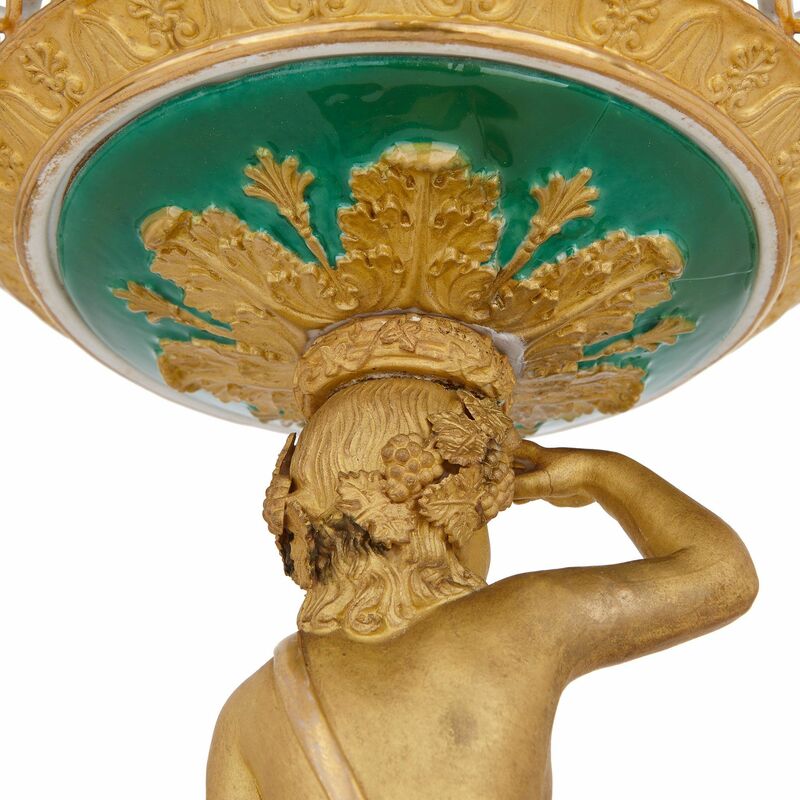 The plinth is decorated around its exterior with frieze panels showing Classical masks. 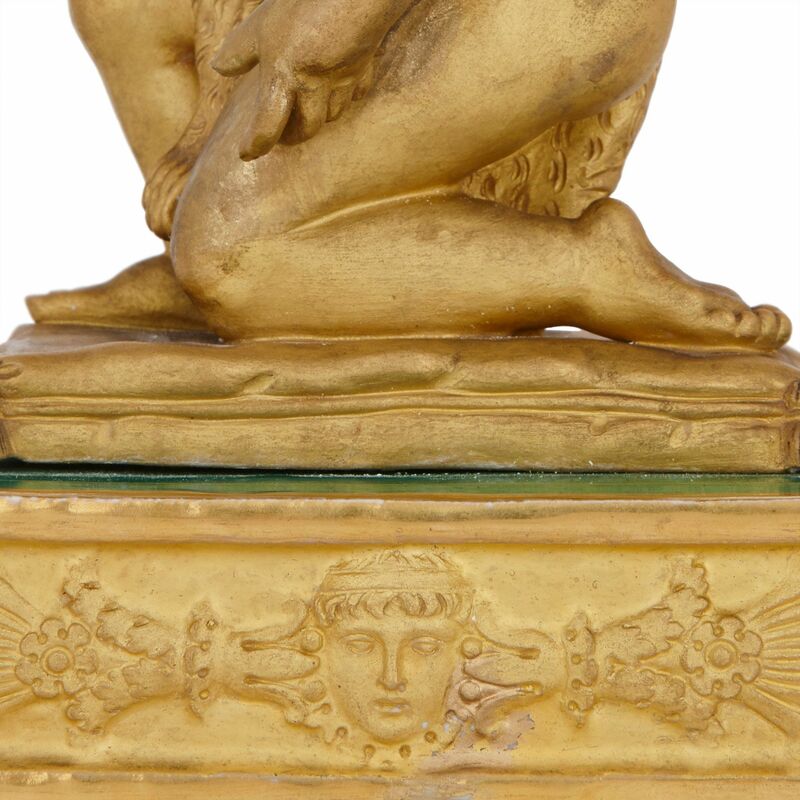 There is a stamp for the Popov Manufactory, Russia, underneath one of the feet.